Last week we visited the best deli sandwich location in Westchester, but today, we visit what may be the best hot sandwich location in our county; Melt Sandwich Shop. Now normally I would review a sandwich and tell you to buy it, but due to the uniqueness of Melt, today’s review will be a little different. 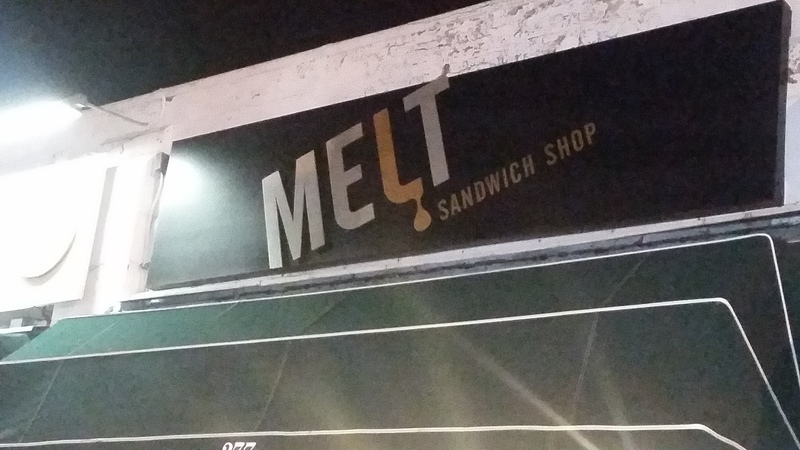 Melt is an abnormal kind of vendor; while most shops have a list of predesignated sandwiches for you to choose from, Melt allows you to choose what sandwich they make for you. When you enter Melt and look at their sandwich board, instead of seeing sandwich names, you see bread size, choice of meat, and a list of combos you can mix your meat with. 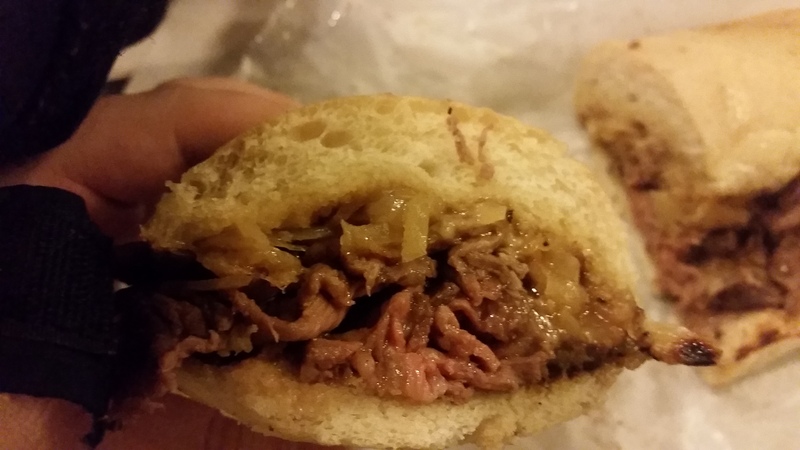 So for example you can choose to have your aged beef top round with the french onion combo (as I did), or with the Cuban combo; or perhaps with the BLT combo. Or maybe you want ham instead of beef, or brisket instead of ham. No matter how you slice it, there is a plethora of different sandwich combinations for you to choose from; and if you don’t fancy the exact combination that I chose to review, please know that there are so many other choices for you to mix and match. In case you are wondering, yes, it did taste as good as it looks. This, like all Melt sandwiches come in three parts; bread, meat, and the combo, so each must be addressed. The meat, simply put, is delicious; it is tender and spiced very nicely and provides a nice chew. You will not find yourself struggling to make each bite a manageable swallow, as the way the meat is prepared does that for you. The French Onion Combo is made with “sauteed onions, gruyere cheese, au jus”; and when Melt says they love making food, this combo certainly attests to that. The onions were flavorful and were neither too flimsy nor too crunchy; and the cheese was of high quality. 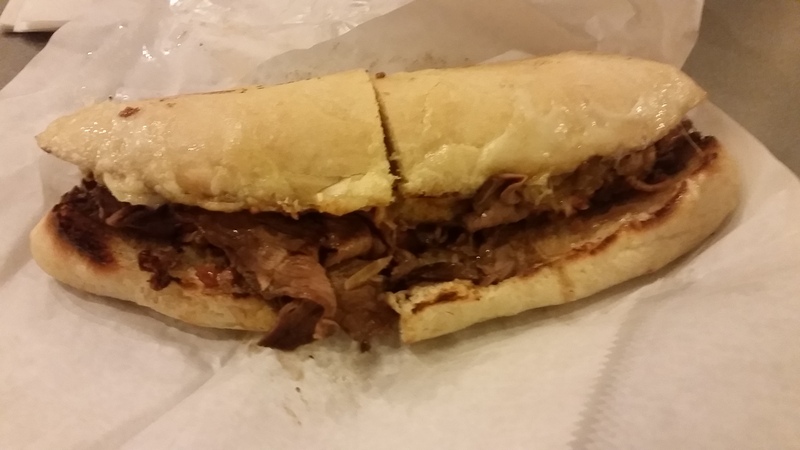 Another great thing about the combo was that it was au jus, or “made with its own juices”; something which added even more flavor to the onions and cheese. The bread meanwhile was perfect for the kind of sandwich this was; its soft enough to provide an easy grip, bite, and chew, but it also was able to soak up the juices of the sandwiches contents without becoming soggy or mushy. This way the bread takes on even more flavor without becoming disgusting or messy. Melt Sandwich Shop is a gem stuck in the heart of White Plains; they make killer sandwiches and because of the many possible combinations they provide, your sandwich eating experience will be a little different, but just as delicious every time you go. I highly recommend Melt, and hope you get a chance to visit it soon.